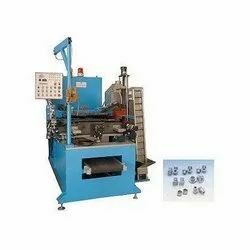 Our range of products include semi automatic ingot casting machines, fully automatic lead ingot casting machine, semi automatic lead ingot casting machine, automatic ingot casting machine, automatic lead casting machine and continuous ingot caster. Our esteemed clients can avail from us a premium quality range of Ingot Casting Machines or Lead Ingot Caster. The offered moulds are manufactured using innovative techniques and optimum quality basic material. These moulds are available in various specifications as per the needs of our clients. Provided moulds are checked at various quality parameters by our quality experts to avoid any kind of flaw. 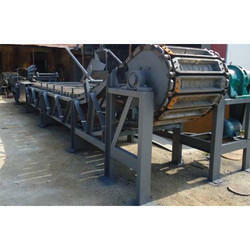 This Ingot Casting Conveyor will operate in conjunction with a suitable capacity of refining pots. Your require ingot casting machine to produce 25~26 kg lead ingots with a Production capacity of 10 tons per hour. The final system will be composed of the following machines and equipments. 1.Flow Control Box (Tundish): is mounted adjacent to the distributor wheel. It consists of a cast iron box with a replaceable nozzle. A manually adjusted stopper controls flow from the holding control box to the wheel. Control Box can hold 250 to 300 kg molten lead. There will be pre-heating burners mounted on the Control box to maintained the temperature of molten lead. At the end of casting cycle, operator has to closed the nozzle with control pin, otherwise molten metal will be solidify in the nozzle. Nozzles can be clean & replace. 2.Tilting Launder: The launder that feeds controlled molten lead to the wheel. It is a M.S. 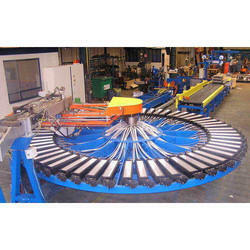 fabrication that is designed to give turbulence free flow to the molten metal. 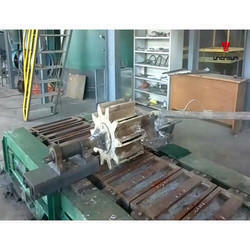 This launder is pivoted so that the metal will be directed away from the casting machine into a dump mould by manually. At the end of the cast the tilting of the launder facilitates it's cleaning. The distributor wheel is made by Cast Iron and used for distribute the metal into the moulds. The wheel has single outlet spouts that dip into each mould. The wheel is mounted on upper sprocket directly. The metal is poured via a launder direct into the centre of the wheel. Distributor wheel is made as per our design. 60 to 70 degree C (It should be dry) before cast the ingots. 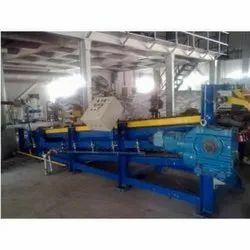 4.Ingot Casting Conveyor: This is inclined style conveyor, to carry 80 moulds on a double chain pitch of 130 mm; sprocket centers of 4,445 mm and an overall length of 5 meters. 4.1. Ingot Mould: - A set of Cast Iron moulds. Each to produce a 25~28 kg lead ingot to our standard design. There are four holes on ingot moulds to bolt on chain attachment. 4.3. Idler- end Assembly: Bearings are heavy duty bearings selected according to the duty required. Drive and Idler shafts are manufactured from EN8 Bright drawn steel. It's hardened, ground & blackodised. Sprockets 130mm pitch are C.N.C. profiled from En-8 with hardened & blackodised. All bearings are NTN Make. 4.4. Drive end Assembly: Drive motor assembly with a final drive shaft is mounted directly on the casting machine drive. The drive used will be a PBL make. Variable speed control is achieved with a frequency inverter (VFD) Delta / Mitsubishi/ABB Or Equivalent VFD is considered. Pot have a manual operated valve so molten lead flow will be some times high OR sometimes low. 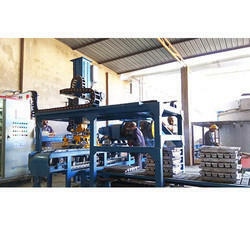 We offer Fully Automatic Lead Ingot Casting Machine to our clients. We offer Semi Automatic Lead Ingot Casting Machine to our clients. We offer Ingot Casting Machine to our clients. We offer Automatic Lead Casting Machine to our clients. We offer Lead Ingot Casting Equipment to our clients.